Public Services students had the opportunity to learn about life in the Police Force from former student and Police Officer Marie Crossland. I’m really excited to be back here and inspiring the next generation of public services students. Marie talked about her career to date followed by a question and answer session. 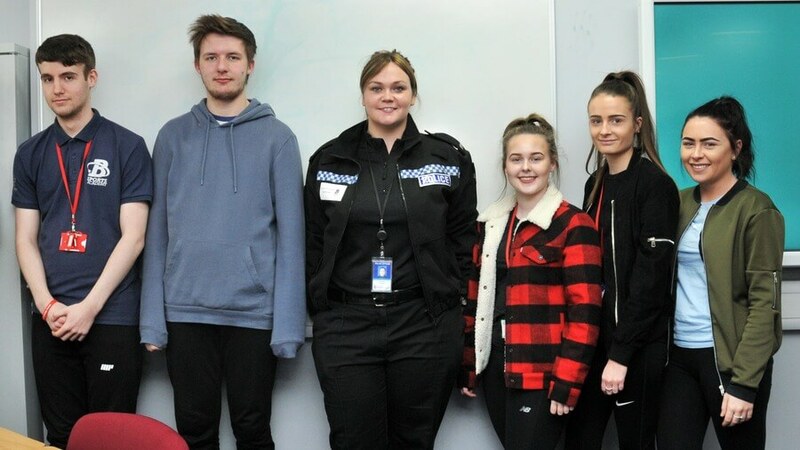 Students were given an insight into the daily life of a Police Officer as well as receiving expert career advice and guidance on job opportunities, interviews and requirements within the police force.